The first of these is from Azure Hospitality Group – owners of very successful chains like Mamagoto and Dhaba by Claridges. 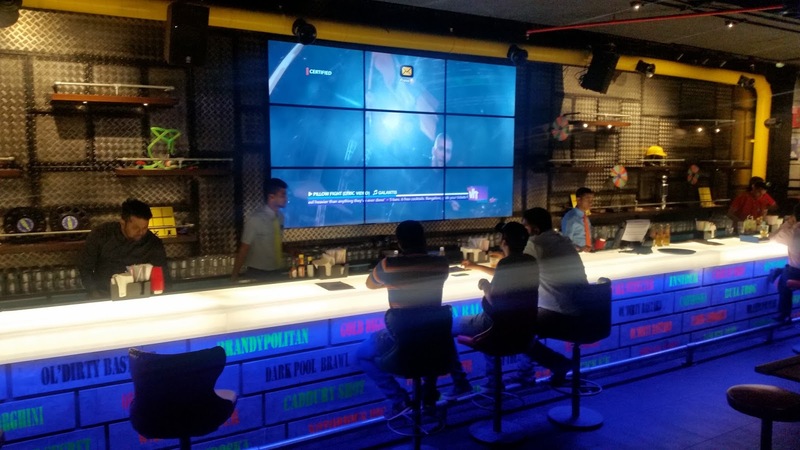 With so many startups folding up around us these days, Sly Tech Bar is themed after a startup company Sly Tech Private Limited, which goes bust due to lack of funding, and they convert their unused office space into a bar. The place at Kondapur even has a reception area with seating just like an office and inside the bar (secret room as they prefer to call it) the design is innovative with different types of chairs and benches, some comfortable and some not, chandeliers, conference tables, and an exposed brick wall. The high-backed leather boss’s chair is the perfect place to take a selfie. Even a table tennis board has been converted to a makeshift table. The bar menu makes interesting reading with cocktails innovatively named like Whiskey Techno, vodka based Lychee Rose Martini, Boss’s Nightmare and Dirty Dustbin ( a drink which has vodka, tequila, white rum and gin in it). 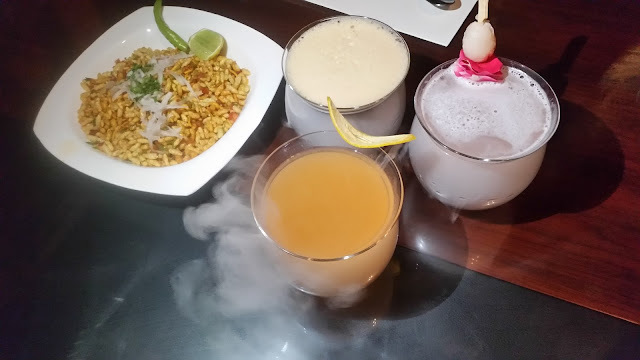 The mocktail menu is aptly called Bad Decisions and among others has a Nimboo Pani with kaffir limes in it. The food has quirky names too and some of them are pretty innovative – Trainee’s Kolkata Jhaal Moori, Natwarlal’s Sadak Chaap Aloo Chaat, Golmaal Rings (onion rings) are some of the vegetarian dishes on offer, whereas Kudos Keema Pav, Tenderloin Sliders and Chicken Tikka Roll can be savoured by the non-vegetarians. 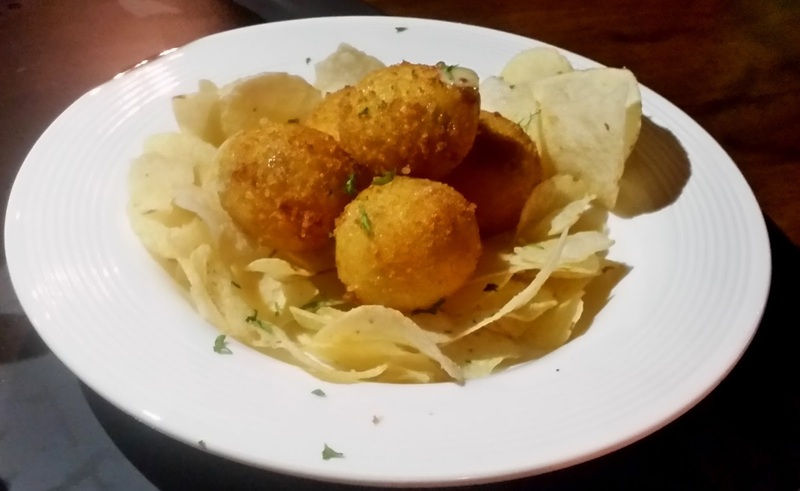 For the Hyderabadi food fanatics, they have a dish called Biryani Balls, which is a round shaped fried snack stuffed with biryani. 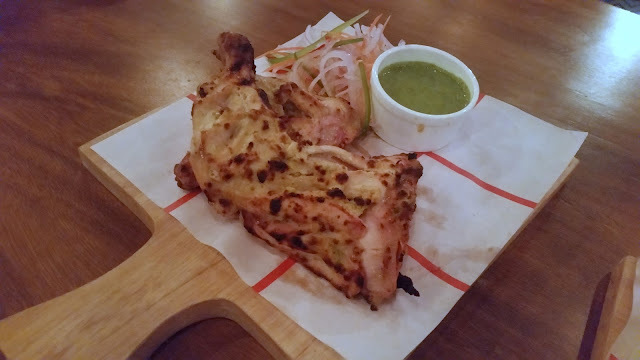 Though the menu is rich, I had a feeling that the restaurant is still getting its act together as far as the food is concerned, a bit of tinkering with the recipes here and there with the recipes will ensure a good experience for the customers. 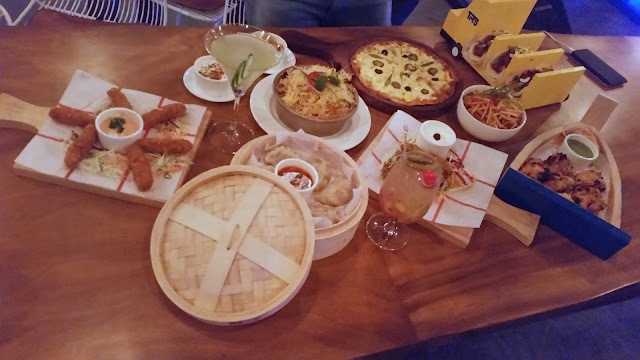 They are running some interesting promotions – Gulp It All Down on Mondays provide select short eats and alcohol at Rs 99, whereas they have a band entertaining you on Fridays. A nice place to let your hair down after a busy workday. 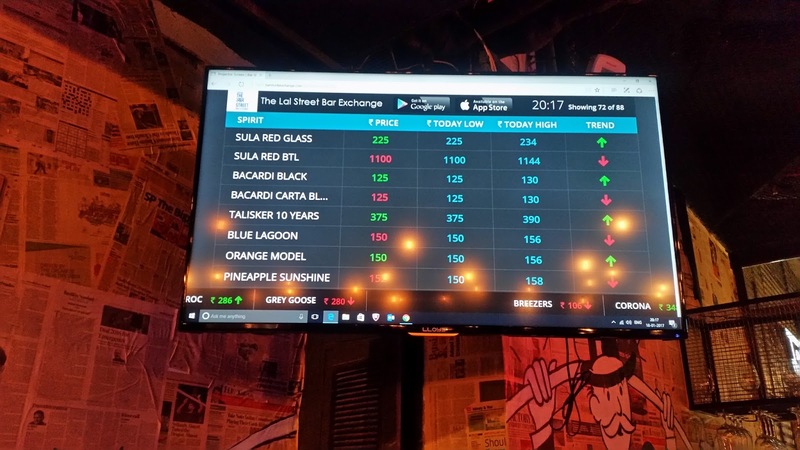 The second bar adopting a novel concept is The Lal Street, Hyderabad’s first bar exchange. Named after Dalal Street, the famous road in Mumbai which houses the Bombay Stock Exchange, the outlet uses a special software which regulates the prices of drinks. Based on the orders placed the prices of drinks and cocktails go up and down just like shares on a stock exchange, and the prices are displayed on electronic screens. And sometimes, you get the drinks at really bargain prices. The bar has both indoor and outdoor seating, the latter having a good view of the Gachibowli road. Here again, the names of the drinks are after the theme – Bear Trap (vodka, raspberry and pineapple), Gold Digger (Tequila. Lemon grass and sugar) and Wall Streeter (Gil, basil and cucumber) while the martini here is called Stocktini. To go with the drinks, they have a good range of vegetarian as well as non-vegetarian eats. The Misal Pav here was quite spicy, but that did not take away anything from the taste. Desi Pizza, a paneer based preparation was pretty good too. 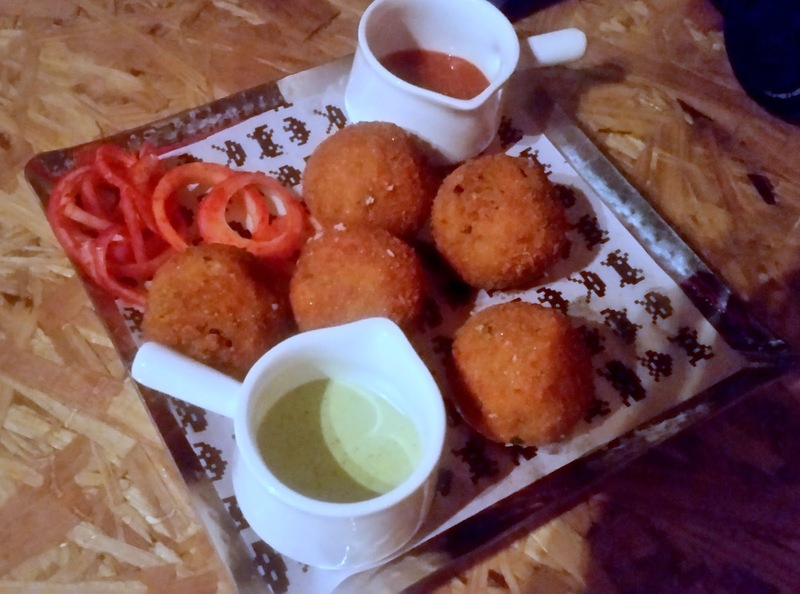 Hyderabad is known for its 65s, and The Lal Street has added a new one to it – Broccoli65. Paneer Butter Masala was presented in a contemporary fashion with French fries. For the non-vegetarians, they have a Tandoori Non-Veg Platter attractively styled as a stadium, with each of the starters forming part of the gallery. Tacos are similarly presented in a truck. 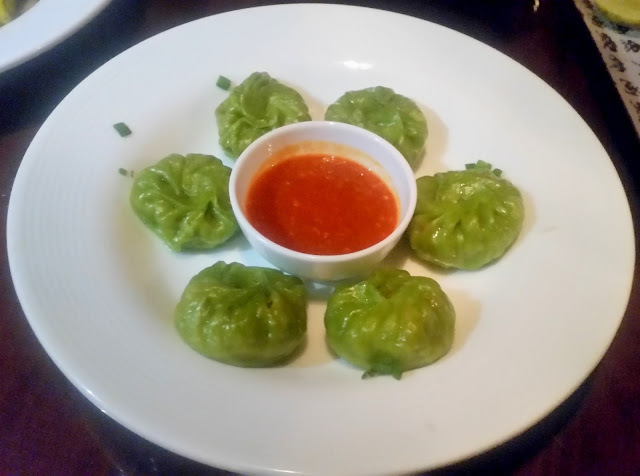 Bhatti Ka Murgh and Chicken Momos are other delicacies which are not to be missed. 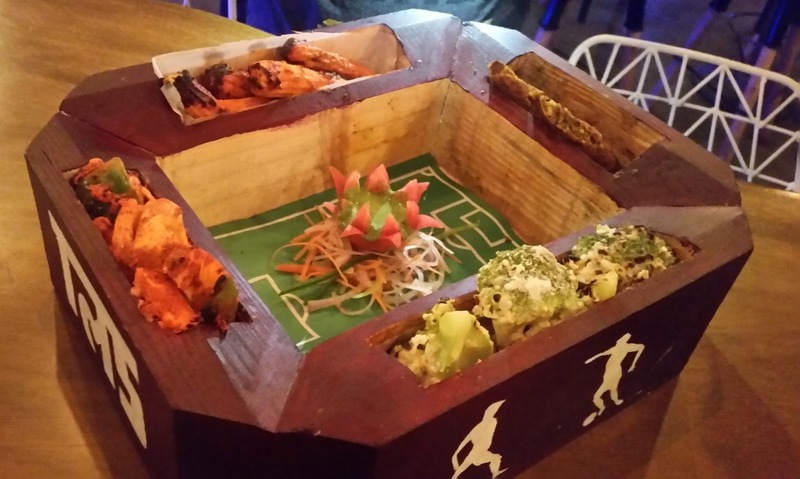 Other interesting dishes include Masala Prawn Popcorns and Mangalorean Chicken. A little bit of understanding of how a stock exchange operates will help in ordering in this place. They also have a range of main courses for food lovers who want to go for a full meal. 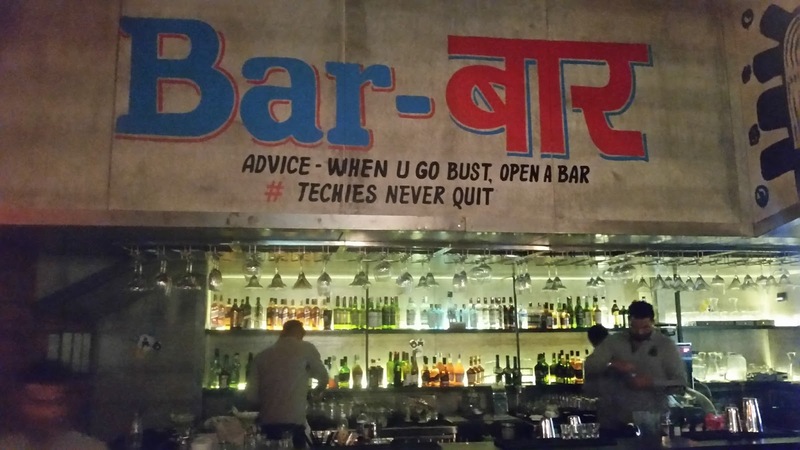 The place provides a refreshing change from the normal bars the city is dotted with. As they say, whether the market is bearish or bullish, you always soar high!